In April of 2017, Nadine won the prestigious 2017 Richard Tucker Award, which comes with a cash prize of $50,000 and a gala concert, to be held Dec. 10 at Carnegie Hall. Previous winners include Renée Fleming, Lawrence Brownlee, Stephanie Blythe, Joyce DiDonato, Michael Fabiano and Jamie Barton. Read more. In December 2015, Nadine made her debut with the Metropolitan Opera! For more information and news about Nadine, visit http://www.nadinesierra.com/. 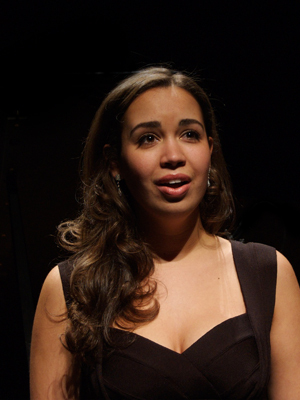 Nadine Sierra appeared most recently on Show 213, recorded in February 2010. Another Win for Nadine Sierra!